Antiquorum Auction in Geneva this Sunday is offering a flown Omega Speedmaster watch, a rare model as so-called flown watches have been worn in deep space and they seldom reach the open market. This model, No. 48261214, is especially coveted as it has spent more time in open space than any other watch – a total of 33 hours – making it a uniquely historic timepiece, further amplified by the fact that it was once owned by Ukrainian–born Russian cosmonaut, Anatoly Artsebarsky. 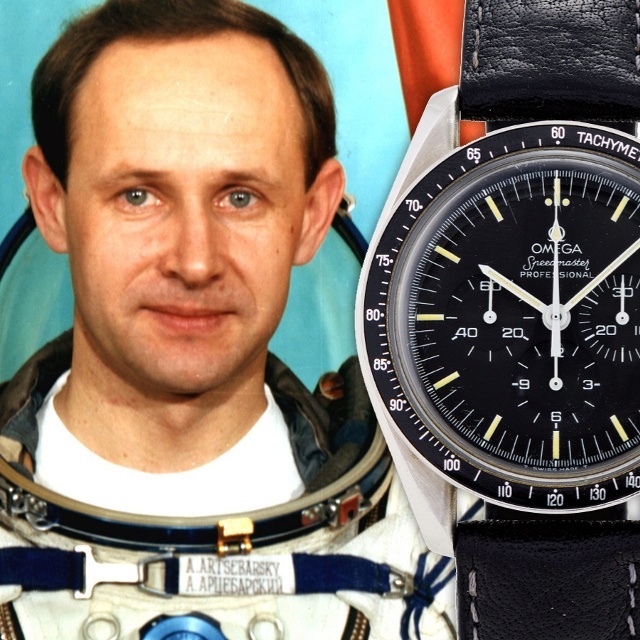 Artsebarsky was the 35-year-old commander of Soyuz TM-12, who spent five months (145 days) at the MIR Space Station undertaking various projects and repairs and he wore his Omega Speedmaster on an unprecedented six EVAs (Extra Vehicular Activities) - or space walks - totaling 33 hours. Artsebarsky’s Omega Speedmaster is in good condition and still works perfectly. It is currently owned by a British financier and has all the necessary authentication, as well as a box signed by the cosmonaut himself, so is expected to attract a great deal of interest at auction. 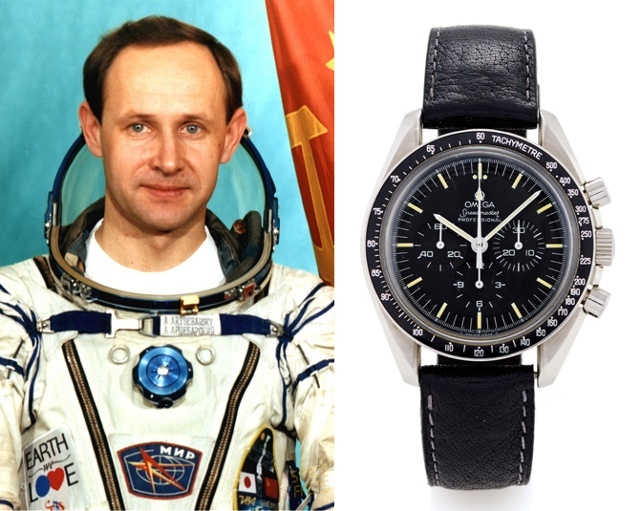 In addition to watch and space memorabilia collectors, it is anticipated that Russian and Ukrainian nationals, keen to own a rare piece of their recent history, will also bid on the watch. Historical significance and previous owners are increasingly important at watch auctions. The Omega has a pre-auction estimate of 20,000-40,000 Swiss francs, or about $22,000 to $44,000.